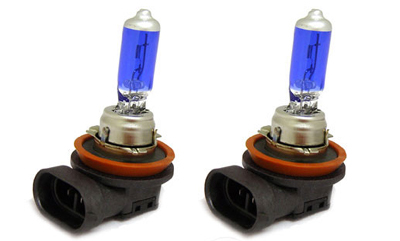 Give your car an awesome new look with GP Thunder angel eye replacement bulb! Looking to greatly increase the look of your angel eyes without having to spend hundreds of dollars to do it? 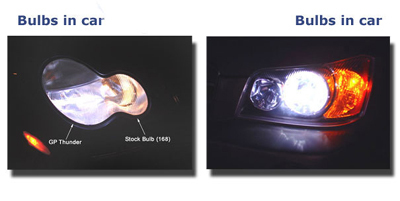 We have the solution with GP Thunder angel eye replacement bulbs for the newer BMW Models. We offer two different temperature colors 7500k and 8500k. This bulb produces a white light with a light blue tint. These are the best bulbs you will ever get, and they are the best xenon white bulbs on the market. Quality is never an issue with this supreme quality light bulb. 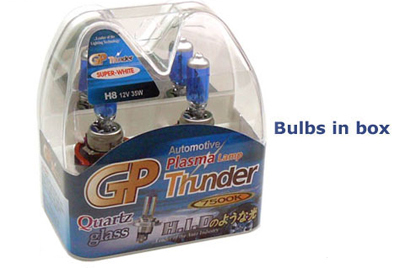 GP Thunder bulbs are made of fused quartz glass in order they may produce maximum power with a smaller bulb. Turn heads like never before with GP Thunders new angel eye replacement bulbs! Cornering Light H3 Bulb Replacement also available! H8: This bulb is used to change the color of the newer BMW angel eyes from the stock yellow to either white or blue. BMW quoted me $150 just for ONE bulb replacement, so you can't beat the price. Install is a little tricky, first one took ~25 minutes, second one was 5 minutes. In the shade/night time they look great, but daylight you can barely notice them. Awesome service, great product and fast shipping! funny thing was, I got my tracking number the day I received the product.. haha! demonstrates how fast the shipping is! took me about 3-4 days. great product as well, goes excellent with any E92s out there.. i installed it on my car and really love it. GP Thunder H8 Bulb Replacement on E92 (8500K) at 8:00 p.m.